As a social media pro, you probably already use all the biggest social networks (Facebook, Twitter, LinkedIn) and media sharing sites (Instagram, YouTube, Snapchat), along with maybe a handful of others like Pinterest and Google Plus. But there’s much more to social media than the top social media and media sharing networks. Look beyond those social media juggernauts and you’ll see that people are using many different types of social media to connect online for all kinds of reasons. And while there was once a time when you could simply categorize networks according to their functional capabilities (Twitter for short text content, YouTube for video, and so on), that time has passed. As more networks add rich features like livestreaming and augmented reality, the lines between their feature sets continue to blur and change faster than most people have time to read up on the changes. So instead of categorizing networks according to hyper-specific user interests or shifting technology features, we prefer to think like marketers and group networks into 10 general categories that focus on what people hope to accomplish by using them. Knowing about these categories of social media and understanding why people use them can open up new ideas and channels for engaging with your audience more effectively—so let’s get started. Why people use these networks: To connect with people (and brands) online. How they can benefit your business: Let us count the ways. Market research, brand awareness, lead generation, relationship building, customer service… the list is pretty much endless. Social networks, sometimes called “relationship networks,” help people and organizations connect online to share information and ideas. While these networks aren’t the oldest type of social media, they certainly define it now. These channels started as relatively simple services—for example, Twitter was the place to answer the question “what are you doing?” and Facebook was where you might check the relationship status of that cute Economics 101 classmate. Now, and especially since the rise of the mobile internet, these networks have become hubs that transform nearly every aspect of modern life—from reading news to sharing vacation photos to finding a new job—into a social experience. If you’re not using these core networks yet as part of your social media marketing plan—or if you’re looking for ideas to improve your existing strategy—you’ll find a wealth of usable information in our guides to Facebook, Twitter, and LinkedIn. Why people use these networks: To find and share photos, video, live video, and other media online. How they can benefit your business: Like the major relationship networks, these sites are invaluable for brand awareness, lead generation, audience engagement, and most of your other social marketing goals. Media sharing networks give people and brands a place to find and share media online, including photos, video, and live video. The lines between media sharing networks and social networks are blurring these days as social relationship networks like Facebook and Twitter add live video, augmented reality, and other multimedia services to their platforms. However, what distinguishes media sharing networks is that the sharing of media is their defining and primary purpose. While the majority of posts on relationship networks contain text, posts on networks like Instagram and Snapchat start with an image or video, to which users may decide to add content like captions, mentions of other users, or filters that make you look like a bunny. Similarly, on sites such as YouTube and Vimeo, video is the primary mode of communication. When determining whether or not your business needs to establish a presence on a media sharing network, it’s important to consider your available resources. If there’s one thing the most successful brands on platforms like YouTube or Instagram have in common, it’s a thoroughly planned mission and carefully designed media assets, usually following a specific theme. To increase your business’s chances of success on media sharing networks, see our guides to marketing on Instagram, Snapchat, YouTube, and Vimeo. Why people use these networks: To find, discuss, and share news, information, and opinions. How they can benefit your business: These networks can be excellent resources for market research. Done right, you can also advertise on them, though you’ll need to be careful to keep your ads and posts separate. Discussion forums are one of the oldest types of social media. Before we connected to our first university friends on The Facebook, we discussed pop culture, current affairs, and asked for help on forums. Take a look at the wide reach and massive user numbers on forums such as reddit, Quora, and Digg and you’ll see that the public’s thirst for collective knowledge and wisdom remains unquenchable. These are the sites where people go to find out what everyone’s talking about and weigh in on it—and users on these sites generally aren’t shy about expressing their opinions. While social relationship networks are increasingly implementing measures to reduce anonymity and create a safe space online, discussion forums generally allow users to remain anonymous, keeping some of the “wild west” feel that used to define the online experience. 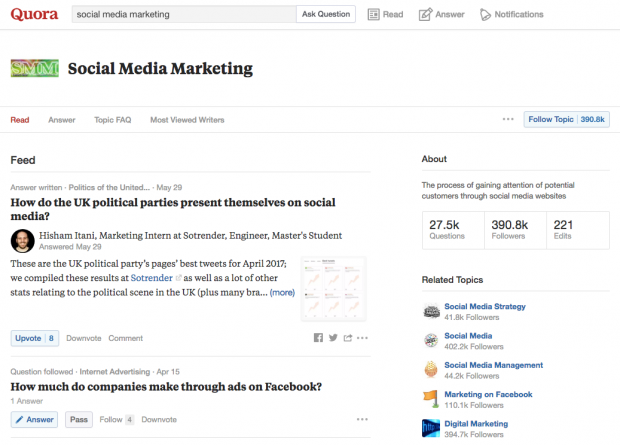 This can make discussion forums such as reddit (the self-styled “front page of the internet”) and Quora great places to go for deep customer research and brutally honest opinions. If you’re careful to keep ads and posts separate, they can even be a place to advertise—for all the details, see our guide to reddit advertising. Why people use these networks: To discover, save, share, and discuss new and trending content and media. How they can benefit your business: These networks can be highly effective for driving brand awareness, customer engagement, and website traffic. Bookmarking and content curation networks help people discover, save, share, and discuss new and trending content and media. These networks are a hotbed of creativity and inspiration for people seeking information and ideas, and by adding them to your social media marketing plan, you’ll open up new channels for building brand awareness and engaging with your audience and customers. Bookmarking networks like Pinterest help people discover, save, and share visual content. An easy first step for getting started with Pinterest is to make your website bookmark-friendly. This entails optimizing headlines and images on your blog and/or website for the feeds these networks use to access and share your content. You should also pay close attention to the images featured on your site or blog—these are the window displays of Pins, so you want them to be good representations of your content. Content curation networks like Flipboard are similar to bookmarking networks, but with a focus on finding and sharing articles and other text content. You can create your own Flipboard magazine to sort through the most engaging content on your topic of choice from third-party sources, and to showcase your own content. Other types of networks are also adding bookmarking and curation features. For example, Instagram now offers features for users to save content and create private collections. To start planning your strategy for bookmarking and content curation networks, see our guides on using Pinterest and Flipboard. 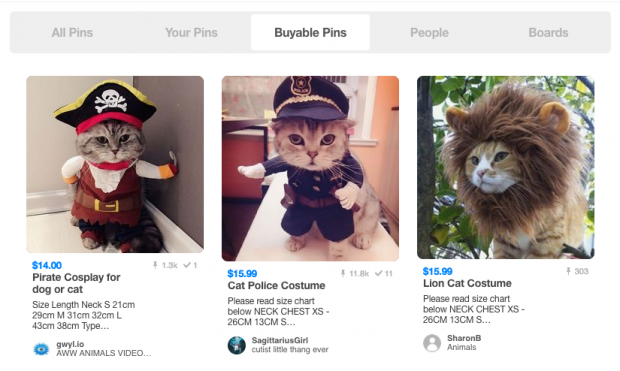 And if you’re looking for inspiration, check out these 10 Pinterest accounts that will make you a better social media marketer. Why people use these networks: To find, review, and share information about brands, products, and services, as well as restaurants, travel destinations, and more. How they can benefit your business: Positive reviews bring social proof to your claims. Handled well, you can resolve issues with unhappy customers. Consumer review networks give people a place to review brands, businesses, products, services, travel spots, and just about anything else. Reviews are a type of content that adds a lot of value to many websites and online services—think about the buying experience on Amazon, or the experience of searching for a local business on Google Maps. Consumer review networks take it one step further by building networks around the review as a core part of the value they provide. 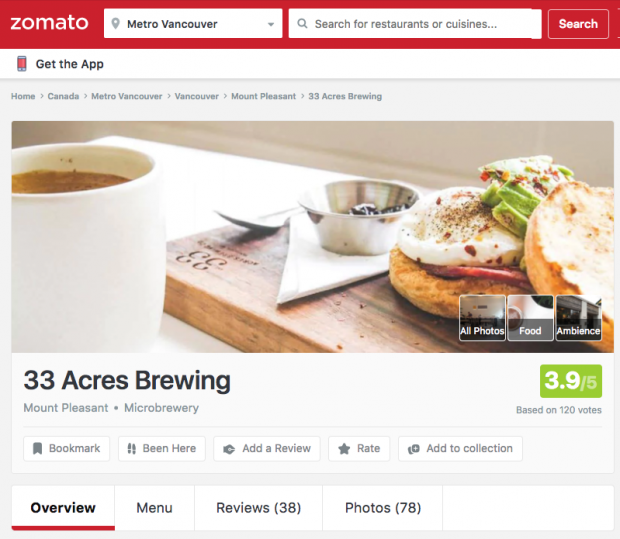 Location-based review services such as Yelp and Zomato continue to grow as personal social networks adopt geolocation and more users choose to consult the internet along with their friends for recommendations of best dining spots. There are sites to review anything from hotels and restaurants to the business where you’re thinking of applying for a job—and user reviews have more weight than ever before. In fact, according to a survey by BrightLocal, 88 percent of consumers trust online reviews as much as a personal recommendation. It’s vital for your brand to have the ability to attract positive user reviews and handle negative ones. To do this, you can select a customer success team member to address reviews on sites relevant for your business. Entrust them with answering any questions or concerns from clients with average or negative experiences, and see if there is anything that can be done on your end to turn a possible detractor into a fan. For more on this topic, read our blog posts on how to respond to negative reviews and online reputation management. Why people use these networks: To publish, discover, and comment on content online. How they can benefit your business: Content marketing can be a highly effective way to engage with your audience, build your brand, and generate leads and sales. Blogging and publishing networks give people and brands tools to publish content online in formats that encourage discovery, sharing, and commenting. These networks range from more traditional blogging platforms like WordPress and Blogger to microblogging services like Tumblr and interactive social publishing platforms like Medium. If your promotion strategy includes content marketing (and if it doesn’t, you might want to consider it), your business can gain visibility by keeping a blog. A blog doesn’t just help increase awareness of your business and generate more engaging content for your social channels such as Facebook; it can also help carve out a niche for your brand as a thought leader in your industry. If you’re getting started with blogging and content marketing, see our guides to starting a blog, promoting your blog, content marketing strategy, and creating great content. Why people use these networks: To spot trends, follow brands, share great finds, and make purchases. How they can benefit your business: Brands can build awareness, increase engagement, and sell products via new channels. Social shopping networks make ecommerce engaging by adding a social element. Of course, elements of ecommerce appear in many other types of social networks—for example, Pinterest features Buyable Pins, and Instagram provides call-to-action tools in the form of “shop now” and “install now” buttons. Social shopping networks take it one step further by building their site around a focused integration between the social experience and the shopping experience. Services like Etsy allow small businesses and individual crafters to sell their products without an existing brick-and-mortar location, and networks such as Polyvore aggregate products from different retailers in a single online marketplace, and. 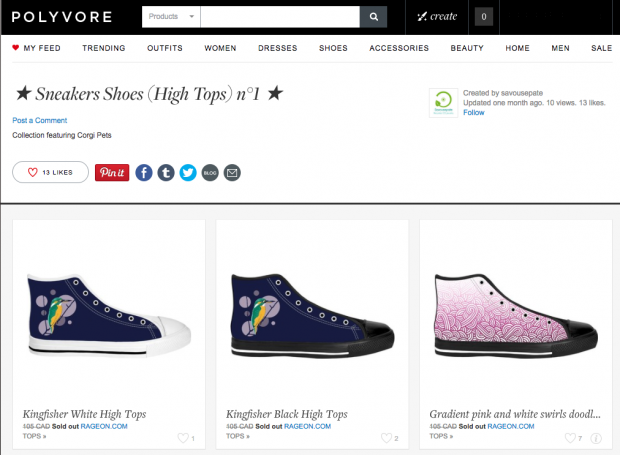 Polyvore is one of the largest social style communities on the internet, and it’s a good example of a network designed to integrate the social experience with the buying experience. Most of the content is generated by users, who choose products they like, create collages, publish them as a set, and then share sets with other users. For more information about these networks and how they can benefit your business, see our guide to social commerce. Why people use these networks: To connect with others around a shared interest or hobby. How they can benefit your business: If there’s a network devoted to the kind of products or services you provide, these networks can be a great place to engage with your audience and build brand awareness. Interest-based networks take a more targeted approach than the big social networks do by focusing solely on a single subject, such as books, music, or home design. While there are groups and and forums on other networks that are devoted to these interests, focusing solely on a single area of interest allows these networks to deliver an experience tailor-made for the wants and needs of the people and communities who share that interest. 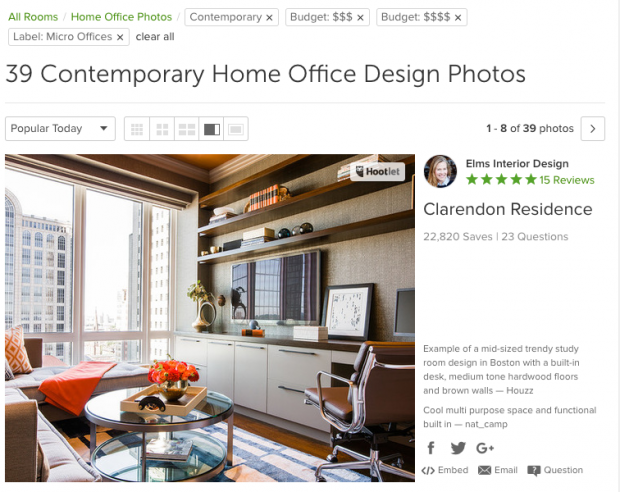 For example, on Houzz, home designers can browse the work of other designers, create collections of their own work, and connect with people looking for their services. Networks such as Last.fm (for musicians and music lovers) and Goodreads (for authors and avid readers) also provide an experience designed specifically for their niche audience. If your customers and social audience share a common interest (for example, if you’re a publishing house), an interest-based network can be a good place to keep up with current trends among fans of a your industry or its products. Why people use these networks: To advertise, find, share, buy, sell, and trade products and services between peers. “Sharing economy” networks, also called “collaborative economy networks,” connect people online for the purpose of advertising, finding, sharing, buying, selling, and trading products and services. 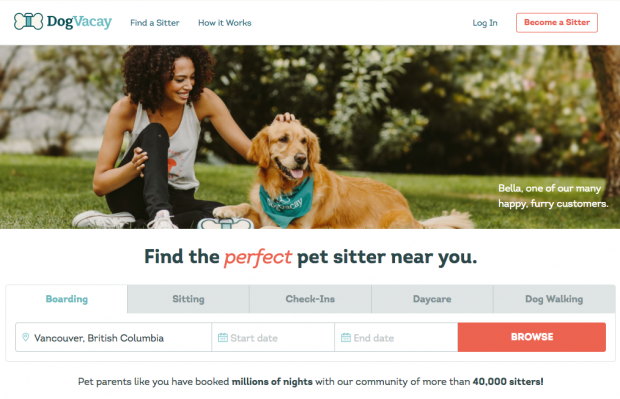 And while you’re probably already familiar with big-name networks like Airbnb and Uber, there are a growing number of niche networks you can use to find a dogsitter, a parking spot, a home-cooked meal, and more. While most marketers will find these networks too specifically targeted or restrictive, if you happen to provide the kind of product or service that’s traded on a particular network, you might want to look into it as another channel to generate leads and sales. Why people use these networks: To gossip, vent, snoop, and sometimes bully. How they can benefit your business: They almost certainly can’t. Steer clear. These networks might sound like a fun place to blow off steam (for example, if you’re a teen and want to complain about your parents, teachers, boyfriend, and so on). However, they’ve been shown to provide a consequence-free forum for cyberbullying and have been linked to teen suicides. In our opinion, anonymous social networks are a step back toward the wild-west early days of the internet in a time when we’ve learned the importance of keeping the internet a safe place for everyone. If it’s worth saying, it’s worth standing behind. Whether you’re exploring new potential markets for your business or just looking for new channels to connect with your customers, there are many types of social media you can use. Some are pretty much mandatory for any business; others are useful for a smaller subset of niche businesses; and some you should steer clear of entirely. Whatever your needs and your goals, it’s a safe bet you’ll find what you’re looking for somewhere on social. Hootsuite makes managing all types of social media easy. Bring all your profiles into a single platform with the tools you need to easily monitor conversations, engage your audience, publish content, and schedule posts. Try it free today. With files from Olsy Sorokina. Curtis is Hootsuite's content editor. He loves intelligent content, mountain biking, and dragging his family onto chicken buses.